I love reading your blog, and when a question came up about publishing in the LDS world, I knew you were the first person I had to ask. Don’t worry about it. It’s not like your submission is going to get lost in the shuffle. Trust me, most legit publishers have a very good way of tracking submissions so they don’t get lost in the pile. Yes, you may have more submissions in front of yours for awhile and it may take longer for the editor to get to yours, but those submissions are going to be there anyway. If you wait, there will be other submissions that come in while you’re waiting—and yours will then be behind those too. The only difference I’ve found that a mass of submissions makes is how long it takes me to reply. It doesn’t make me grumpy or rushed. I still give each submission an honest look no matter how many are waiting for me. As a new, Independent Publisher, I offer a hybrid of options for new authors. I am currently taking submissions for book just like yours and I promise your book will not get lost in a pile! I’m ready when you are! Good advice, I agree completely and I think that time of year is better than the August/September crush which is when LDSBA is hosted and Christmas order rush is in place–but then that might not affect editors as much as it does other publishing staff. I’m hoping this came though. May I submit a 30,000 word MG novel? The author does not have to help with the costs, right? That’s fine! We do novellas as well as novels. And no, the author doesn’t help with costs…only if you want to retain your rights. You can visit my website at http://www.vestahousepublishing if you want to learn more. 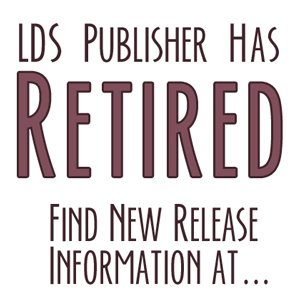 Mary Ann, are you asking me “LDS Publisher”? Or Cathy of Vesta House? I don’t accept manuscripts through this site. If you have questions for Vesta House, contact them through their website. I don’t know anything about them. Does anyone out there know of a publisher that accepts novels of 40,000-64,000 words? I keep falling on those that take short stories.